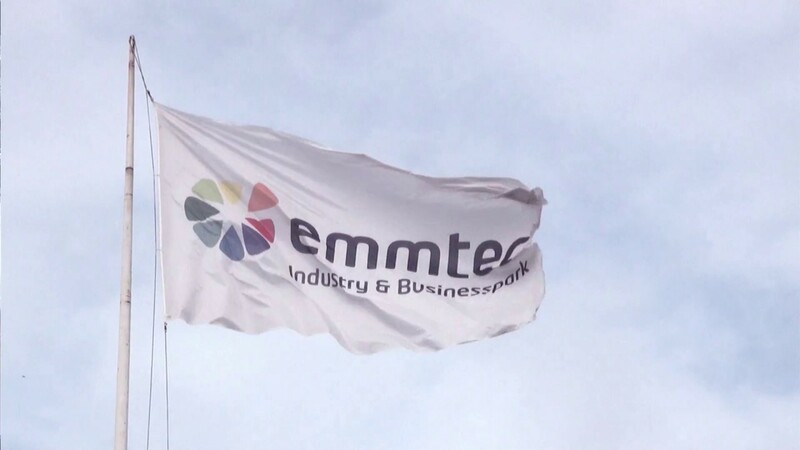 Emmtec Services BV is an engineering consultancy based at Emmtec Industry & Business Park in Emmen, Netherlands. The company is an energy producer active in a range of markets. In addition to their core business of multi-disciplinary engineering, they also run their own wastewater purification plant, logistics operation and laboratory. They provide services both at their corporate office location and on-site for clients. Emmtec’s engineering operation employs 100 specialists in disciplines including mechanical engineering, electrical engineering, automation, and structural and civil engineering. They specialize in complex technical projects for the chemical and oil and gas industries, from pipework and pumps to the buildings that house them. Cadac Group played a key role in the successful implementation of Autodesk Vault. Matthijs van Oord led the implementation of Autodesk Vault. “In the past, we made a strategic decision to deploy Autodesk for our engineering operation. We have been using AutoCAD, Inventor, Revit and Plant 3D for many years now. Recently we started using Autodesk Vault to manage our engineering data. “We have been a customer of Cadac Group for more than 10 years now, so we approached them for help and advice. Through their Cadac Organice Suite, they offer a wide range of engineering document management solutions based on Autodesk Vault and Microsoft SharePoint. They have 30+ years of experience in management and document sharing and have developed a clear vision for engineering documentation management. “Having a standardised way of working is an essential part of document management. It was difficult for our engineers to get used to handling documents in a standardised way. All of a sudden, documents had to fulfill all sorts of requirements. Of course, these rules were not new and everyone was already familiar with them. With Autodesk Vault, working together with Cadac Organice Vault, we have a system that checks whether people are applying the rules properly or not. “This type of change process, and developing a standard system of work, does not happen overnight. We put together a key user team with employees from different disciplines working on the shop floor. They worked as ambassadors to increase internal support for the new system and provided a sounding board for Cadac Group and me as the project leader. They knew what would work and what wouldn’t, what made sense and what didn’t, and, they knew the impact of those decisions on day-to-day working. “Our vision for engineering document management is based on our customers’ experiences and Cadac Group’s expertise. We are ISO 9001 certified and, as such, we need to have all these aspects under control. It's not just for us. Our customers get a direct benefit from effective quality control and clear audit trails for document flows. “The first phase was now complete. We had gained greater control of the technical documentation creation process, including revision and deliverables management. Since the start of 2016, 25 employees have been applying a standard system of work in Vault. “Cadac Group played a major role in the Vault implementation process, from support during the change process to implementing the software. Their standardised approach of applying proven best practices is very strong. We believe this process is unique in the CAD sector. “The greatest advantage for us so far is the standardised method of working. When we started out on this project with Cadac Group, we had three departments. Each had its own method of working. Sometimes different methods were even being used within the same department. We have been able to learn from one another, retain the best methods, and incorporate them into the standard method of working. In our opinion, that is the meaning of best practice. Contact us to find out more about standardising your methods of working. “Even though we have already achieved a great deal, it doesn't end there. In the future, I would like to release the creative process as much as possible for our engineers. After all, the added value they bring comes through devising creative engineering solutions. “We want to completely get away from sending emails with PDFs and task management in Excel. This is uncontrolled, non-traceable and certainly not effective.